Located off of Highway 146 in La Grange, you’ll find the stately neighborhood known as Heather Green. Heather Green homes were developed in the mid-2000s. These homes usually range between $350,000 to $515,000. Heather Green houses are typically very large homes with a lot of character. On average, a Heather Green home will have between 2,100 to 3,900 above grade square feet. In addition, the basements in Heather Green houses are usually between 700 to 2,300 square feet! 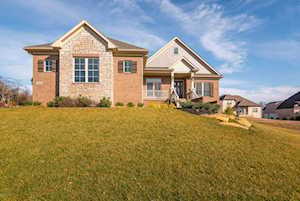 Current homes for sale in Heather Green, a subdivision in Oldham County, are listed below. 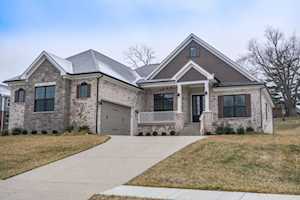 The Hollinden Team updates this search for Heather Green homes on a daily basis from the Louisville MLS. Click the map to the left to view each home for sale in Heather Green. There is a satellite view button in upper right. The homes in this neighborhood are custom built. There are several styles of homes in Heather Green, including Arts & Crafts style and Charlestown style. The constructions types in Heather Green are brick, stone, and stucco. The lots are pretty spacious as well. You will likely find up to half an acre of land in this neighborhood. 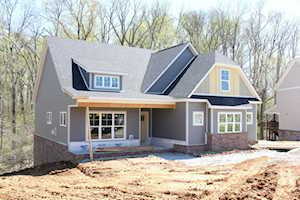 Usually, Heather Green homes will have four to six bedrooms and three to five full bathrooms. Most Heather Green homes have first-floor owner’s suite. Because of the price point and the age of these homes, you are likely to find all the modern day upgrades. Stainless appliances, granite countertops, and hardwood floors are very common in these homes. La Grange offers many places to shop. For your grocery shopping, there is a Walmart located at 1015 New Moody Lane. Also, there is a Kroger located at 2034 Kentucky 53. There are many boutiques in La Grange. Couture Closet, Brazil Curve Kouture, Dizzy Dave’s East, and Elegant Image are a couple of the boutiques you have to choose from. If you want to shop at a shopping center or mall, you can drive to Louisville and visit Mall Saint Matthews, Oxmoor Mall, or the Paddock Shops. La Grange has many wonderful restaurants. Some of the local favorites are One Nineteen West Main, Red Pepper Deli Café & Catering, Xrailsx Restaurant and Bar, Raw Sushi Bar and Grill, and Gustavo’s Mexican Grill. Two golf courses in La Grange are Eagle Creek Golf Course, Sleep Hollow Golf Course, and Oldham County Country Club. Eagle Creek is a public 18-hole golf course. Sleepy Hollow is public too but is a 9-hole golf course. Oldham County Country Club is an 18-hole semiprivate golf course. Heather Green is in the Oldham County School District. The following schools are the home schools for Heather Green: Buckner Elementary, Oldham County Middle School, and Oldham County High School. Buckner Elementary is one of the four highest-performing schools in the district. Oldham County High School is one of the four schools of distinction in the district. If you would like to learn more or have any questions about any of these Heather Green houses for sale, or others in the zip code 40031, just click the "Request More Information" button on any property detail page. The Hollinden Team can provide you with past sale information, comparables, disclosures, PVA assessment, and tax information – we would love to answer any real estate questions you have.